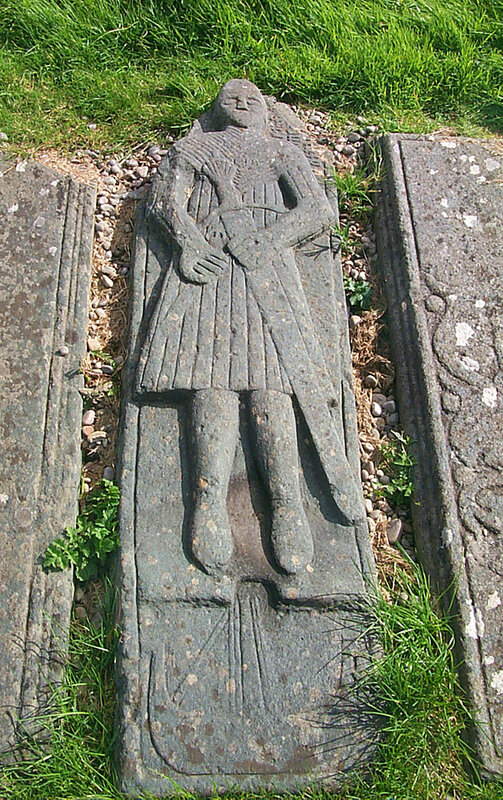 The graveslab of Donald MacGill-uisbeag ((MacIllaspy) in his Highland armour in the chapel on Eilean Mòr at Finlaggan. At his feet a birlinn, a widely used ship at the time (mid 1500s). This entry was posted in Landscape, New Post, Sunny Weather and tagged Eilean Mor, Finlaggan, Islay by Armin Grewe. Bookmark the permalink.